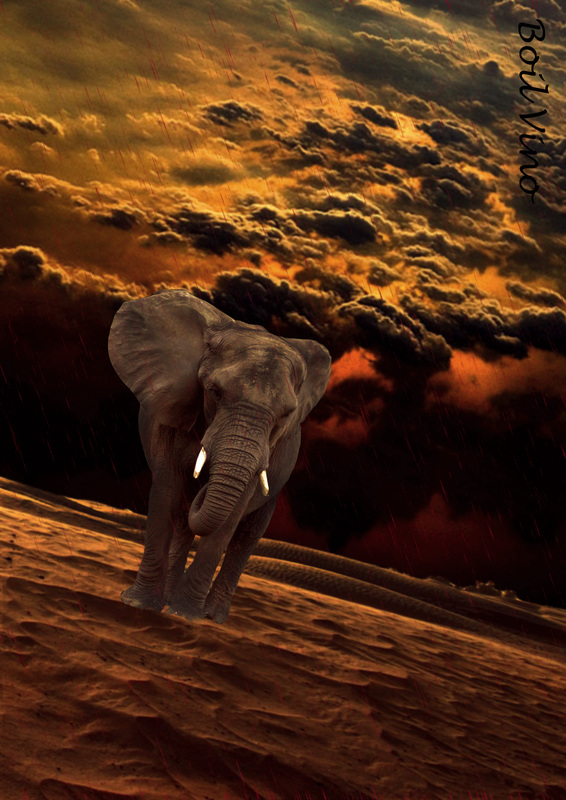 This entry was posted in Photoshop Attempts and tagged Adobe Photoshop, Art, boil vino, Digital art, elephant, photo manipulation, Photography, photoshoped, rain. Bookmark the permalink. I’m leaving for Africa on Sunday…so of course this is my favorite! Very nice!